I remember the day I opened my Starter Kit — and I can attest: This is it. This is the life-change you’ve been looking for. With the Norwex Starter Kit, you will be on your way to building a supportive network of business colleagues and friends. You can meet your professional and personal goals. You can work toward financial freedom. And when you also join my Go Green Team, you’ll find the support you need to achieve success. You read that right. No up-front costs. To get a Starter Kit, which includes everything you need to launch a business, new consultants pay only for shipping. 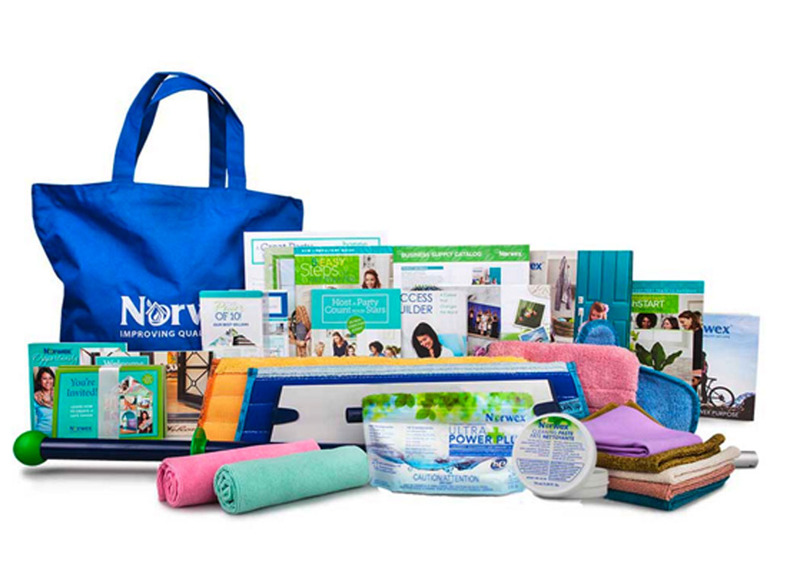 This means that within a week of signing on, you will have many of Norwex’s most popular products at your fingertips, including Superior Mop Collection, Ultra Power Plus Laundry Detergent, the EnviroCloth and Window Cloth as well as the Dusting Mitt. 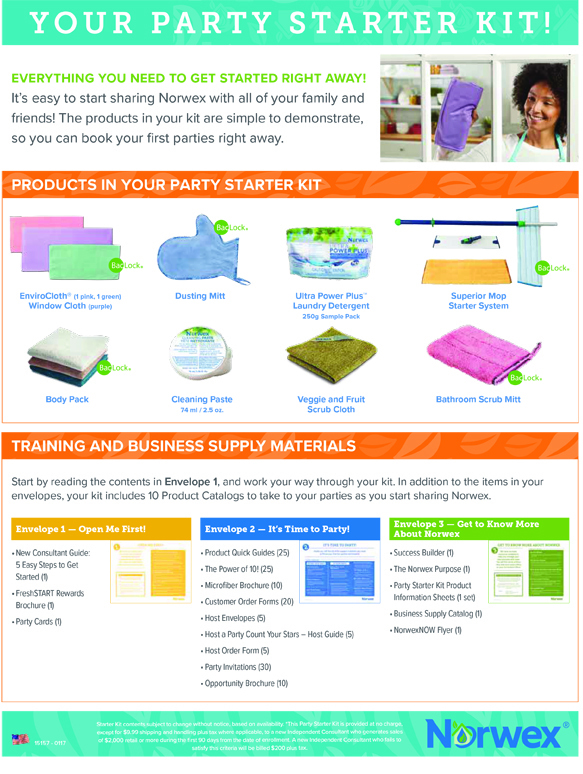 Plus you get a step-by-step guide to starting your business, and all the Norwex print materials you could ever need. Sell $2,000 in products in the first three months, and the Starter Kit is free. 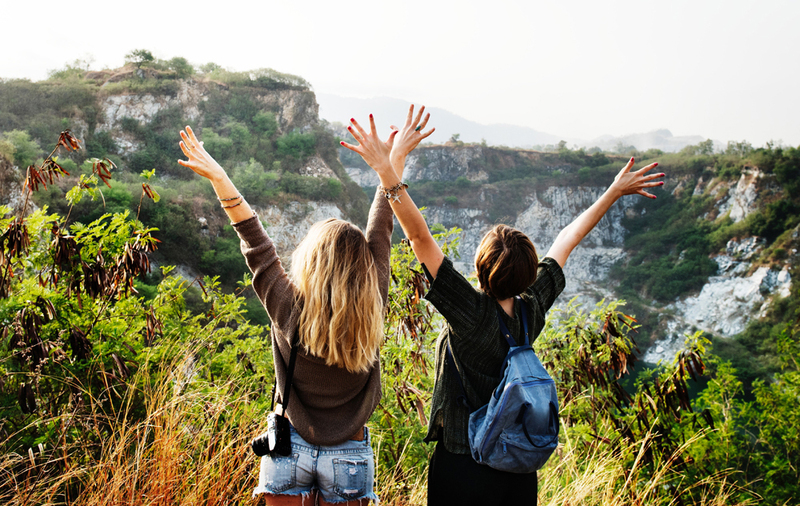 This is in addition to the hundreds of dollars worth of free products that can be earned as rewards for sales, party bookings and recruiting — and a generous consultant discount of 35 percent. Almost 93 percent of new consultants on my Go Green Team earn the free Starter Kit. However, if after 90 days, a new consultant has not achieved $2,000 in sales, the consultant can purchase the Starter Kit for just $200, which is much less than it is worth. I am my own boss, and I set my schedule! Here’s why I think you really can have it all with Norwex. I earn 35% commission and generous, monthly and annual incentives. 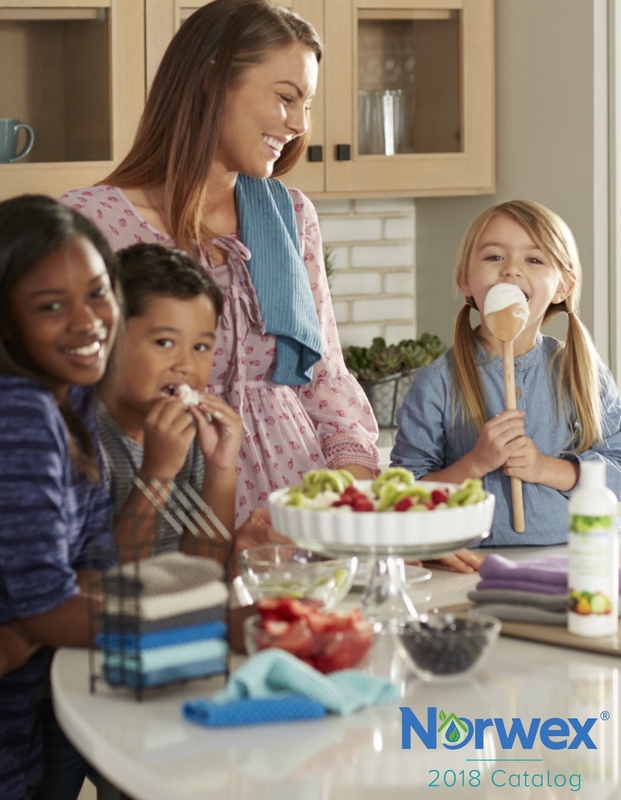 Fellow Go Green Team members share their thoughts about the joys of working with Norwex here. I feel great knowing that I’m sharing with others eco-friendly products that help them have a healthier lifestyle. Here’s just a glimpse of the BIG impacts Norwex products can make. So don’t delay, learn more about joining Norwex today!